With the digital age in real boom there are several big ecommerce giants emerging. These giants have put in a lot of hard work to be get to where they are and it is obvious they will continue to attempt to dominate the when it comes to market share from search engines by maintaining a robust SEO strategy. If you are a fairly smaller company or have ventured new into the world of e-commerce online the first thing that is bound to strike you is the stiff competition. 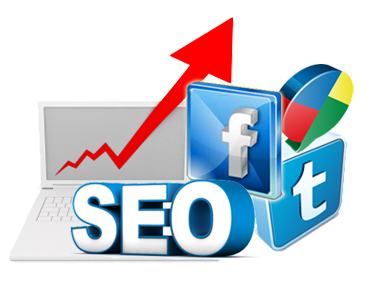 Besides which climbing to the top of the search engine rankings may seem next to impossible at the moment. This is a common reaction and you shouldn’t let it bother you a lot. When it comes to social networks, Facebook has emerged as the king of them all. But that is no reason to ignore Google Plus all together. For one Google Plus has good SEO value. It always pays to connect a Google Plus page to your website. When it comes to search engine results one usually opts to click on the top few links to find what they are looking for. However what if the search results also include a profile photo? The chances of a visitors clicking a listing with a profile photo are even higher. This is exactly what connecting your page with a Google Plus account does; it will display your profile image. Make sure your Google Plus profile has a picture of your face. A link to your Google Plus profile must exist on every page hence it is usually a good idea to include it either in the header or footer. Testimonials carry weight age and hence 5 – 6 good rated reviews posted on your website can make a big difference and help you reach the top of the Google Search Results. It also pays to have an address to go with your business. Besides having the address on your website make sure you are listed with other search directories. Yelp is one such popular directory. Insert keywords in the main heading of the pages. All the main headings should be the <h1> tag. All the sub headings should be in either <h2> or <h3> tags. This will make sure Google understands your pages easily and correctly. In fact this is pretty much common for several other search engines as well and hence following this basic structure will benefit your website. Videos are rated high when it comes to content value. Hence a video can boost your chances of going to the top of the search engine rankings. Hence placing a video on your website is good. What is better if you have many comments, views and shares. Besides which it also pays to have the keywords in the title of your video as well as lengthy videos, those greater than 5 minutes. It is necessary to have a professional SEO team on your side that is aware of the current trends and updates and knows how to analyses where your business stands in terms of SEO. Alakmalak has web development experience (over 2000 websites) with clients from all around the world, the SEO team too has a similar level of experience with diverse client list. Are you looking to hire dedicated Digital Media Marketing Analyst for your website. Contact to Alakmalak today! How Advanced Layout Techniques For Web Design Works?